Electric cars are not a recent technical innovation. In fact, they have a long illustrious history that dates back to early nineteenth century. Nobody knows who was the first inventor of electric car; but it is said that the first small scale electric car was invented in 1828. Ányos István Jedlik, a Hungarian, invented an early type of electric motor, created a tiny model car powered by his new motor. Few years later, in 1834-35 Vermont blacksmith Thomas Davenport developed a battery-powered electric motor. He operated a small-model car on a short section of track with those batteries, making way for the later electrification of streetcars. Like Davenport, another Scotsmen Robert Davidson, around 1842, was the first to use the newly invented but non-rechargeable electric cells or batteries. The years between 1832 and 1839 witnessed the invention of the first crude electric carriage powered by non-rechargeable primary cells at the hands of Scottish inventor Robert Anderson. Professor Sibrandus Stratingh of Groningen, the Netherlands and his assistant Christopher Becker created a small-scale electrical car, powered by non-rechargeable primary cells in 1835; using the physical principles developed by the British Michael Faraday, Stratingh and Becker constructed an electric cart which was the prototype of the electric cars to come in the future. In 1859, French physicist Gaston Planté invented the rechargeable lead-acid storage battery. A fellow countryman Camille Faure, in 1881, improved the storage battery’s ability to supply current and invent the basic lead-acid battery used in automobiles. A Belgian, Camille Jénatzy had designed an electric racing car called “La Jamais Contente”, in 1899 which set a world record for land speed of 68 mph. The debut of the first successful electric automobile is credited to an American chemist named William Morrison of Des Moines, Iowa. As a matter of fact Morrison’s design had been considered to be the first practical design of an electric vehicle. Americans began to show interest in electric vehicles not until 1895. Early in the year 1897, the first fleet of electric taxis hit the streets of New York. The Connecticut Pope Manufacturing Company became one of the first large-scale American electric automobile manufacturer, along with the Electric Carriage and Wagon Company of Philadelphia. In the year 1899, Thomas Alva Edison believed that electricity will run automobiles in future, it became his mission to create a more durable battery for commercial vehicles, but he abandoned his project a decade later into this project. The first practical electric automobile starter was invented by Charles Kettering in 1912. The 60s and 70s saw many attempts to produce practical electric vehicles. It was in 1960 that the Boyertown Auto Body Works jointly formed the Battronic Truck Company with Smith Delivery Vehicles, Ltd., of England and the Exide Division of the Electric Battery Company. The first Battronic electric truck was delivered to the Potomac Edison Company in 1964. A speed of 25 mph, a range of 62 miles and a payload of 2,500 pounds were among the capabilities of this truck. In 1972, the “Godfather of the Hybrid,” Victor Wouk, built the first full-powered, full-size hybrid vehicle out of a 1972 Buick Skylark provided by General Motors (G.M.) for the 1970 Federal Clean Car Incentive Program. Sebring-Vanguard produced over 2,000 “CitiCars.” These cars had a top speed of 44 mph, a normal cruise speed of 38 mph and a range of 50 to 60 miles. While, Elcar Corporation’s the “Elcar” clocked a top speed of 45 mph, and a range of 60 miles. The electric United States Postal Service delivery jeeps had a top speed of 50 mph and a range of 40 miles at a speed of 40 mph, along with heating and defrosting achieved with a gas heater and the recharge time was 10 hours. Around 350 of them were purchased by the U.S Postal Services from the American Motor Company to be used in a test program in 1975. 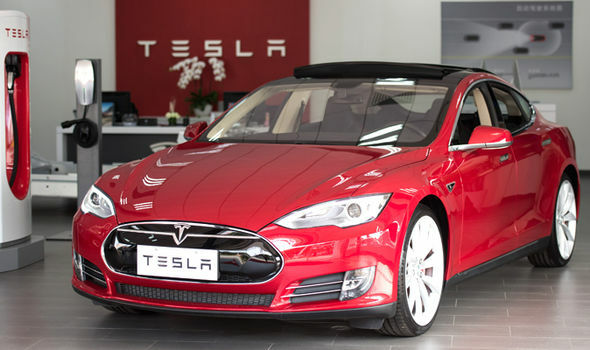 All these innovations gradually paved the way for more advanced models of electric cars. For example, in 2006, Tesla Motors manufactured the ultra-sporty Tesla Roadster, the first production all-electric car to travel more than 200 miles (320 km) per charge. Fast forwarding to 2017, there are a number of big names in car manufacturing are competing with each other to build the most efficient electric car. For instance, Faraday Future’s FF 91 SUV, is set to compete with the Tesla Model X and be one of the fastest accelerating cars on the market, which a claimed zero to 60mph time of 2.39secs, making it around 0.5secs faster than Elon Musk’s Tesla Model X. Thus, how electric cars have evolved from the early 1800s into their much improved sleeker avatars of 2017.